Separately, incarcerated woman on hunger strike wins medical furlough. ISTANBUL, Turkey (Morning Star News) – A convert from Islam sentenced to five years in prison on a concocted charge of “disturbing the national security of Iran” is expected to be granted an appeal this month after waiting more than a year for a hearing. Although there is no evidence that any action will be taken other than to confirm his sentence, Ebrahim Firoozi, 31, is expected to have the hearing on his sentence within two weeks or by the end of the month at the latest, according to advocacy group Middle East Concern (MEC). A judge in Branch 28 of the Revolutionary Court in April 2015 sentenced Firoozi to five years in prison for “creating a group with the intention of disturbing national security” for his role in organizing Christian meetings and conducting evangelical work. Firoozi appealed but has been waiting for a year for a hearing with no resolution. During that time, Firoozi has been denied access to religious books, even though they were published with the permission of the Culture and Islamic Guidance Ministry, according to the International Campaign for Human Rights in Iran. A welder from Robat Karim, 25 kilometers (16 miles) southwest of Tehran, Firoozi, is being held in Rajaee Shahr Prison in Karaj. He was under the scrutiny of the Iranian security apparatus since January 2010, when he was arrested for leaving Islam and hosting religious meetings. A Revolutionary Court convicted him of creating “propaganda against the state” and sentenced him to 10 months in prison, of which five were suspended. He was released on June 8, 2011, but then arrested again on March 8, 2012. Charged with creating “propaganda against the state” for allegedly trying to create a website about Christianity, he was sentenced to one year in prison and two years in exile. 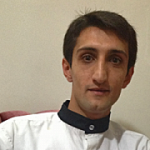 On Sept. 16, 2013, Firoozi was arrested a third time and held in Evin Prison in Tehran, where he has been in legal limbo since the April 2015 sentence. A Christian woman who had been on a hunger strike to protest denial of medical treatment received permission to go to a hospital on June 6, but she was ordered to return too soon, sources said. Maryam Naghash Zargaran, 36, returned to Evin Prison on June 27, after being on a medical furlough for 21 days. A court on June 19 issued an order for Zargaran to return to prison, but Zargaran and her family essentially refused to obey the order because her health had not improved. Her family applied to the prosecutor’s office for an extension to the medical furlough, but the prosecutor denied the request and eventually threatened to seize the $100,000 surety bond the family submitted for Zargaran’s release unless she returned. The family was willing to forfeit the money to ensure Zargaran’s recovery, according to Rob Duncan, MEC’s regional manager for Iran, but over the weekend of June 25-26, her condition dramatically improved and she decided to return to prison. Zargaran suffers from a serious congenital heart condition known as an atrial septal defect, commonly referred to as “a hole in the heart,” and also has severe headaches accompanied by ear pain, tremors, chronic joint and spine pain and numbness in her hands and legs. On May 27, she began a hunger strike to protest the prosecutor’s repeated refusal to allow her to leave the prison temporarily and go to a hospital for treatment that the prison wouldn’t or couldn’t provide. Iranian officials arrested Zargaran in January 2013 for her activities in the Iranian house-church movement and her association with Saeed Abedini, a U.S.-Iranian Christian pastor imprisoned on fabricated charges related to his house-church work. Zargaran was found guilty of “threatening national security” and sentenced to four years in prison, which she began serving on July 13, 2013. An appeal for retrial was denied. Abedini was found guilty of the same charge and sentenced to eight years in prison but was released in January after serving more than three years of his sentence as part of negotiations over a nuclear non-proliferation agreement with the United States and other aligned nations. On June 25, another Christian convert, Leila Abdi Nejad, was released from Evin Prison on a $64,000 bond, according to the Human Rights Activist News Agency. Nejad was arrested on June 6 during a raid by security forces on her house in Alborz Province. Government officials confiscated Christian material at Nejad’s home and later charged her with “promoting Christianity.” According to Duncan, the bond has been a massive financial burden on Nejad and her husband. They now must decide between fleeing the country or facing trial, he said. Mohammedreza Omidi, one of three converts arrested in a May 13 crackdown in Rasht, was released June 7 on a $33,000 security bond. Iranian security agents raided 10 house churches in Rasht, including the home of Youcef Nadarkhani, a pastor who in 2010 was charged with apostasy and sentenced to death. 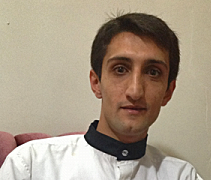 Nadarkhani was acquitted of the apostasy charge but served three years in prison for evangelizing and was eventually released in December 2013. Sometime during or immediately after the raids, Omidi and another Christian convert, Saheb Fadaie, were ordered to report to Iranian security officials, who then raided their homes and seized their computers and Christian literature. On May 29, Fadaie was released on a $33,000 security bond. Another Christian, Yasser Mossayebzadeh, who was arrested at Nadarkhani’s home, was released on May 28, also on a $33,000 bond. No charges have been filed against the three men. Fadaie and Omidi have all been arrested before, in raids conducted in 2015. In 2013, Omidi was sentenced to 80 lashes for drinking Communion wine and possession of a satellite reception center.